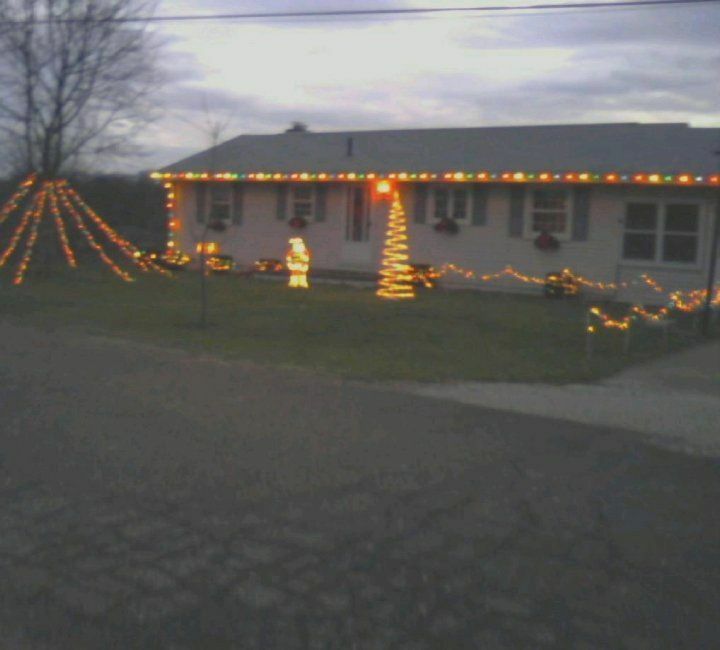 My house back in Ohio (this is only partially decorated). Excuse the old cellphone picture. I am SO excited-I shall be spending time with my family and very best friends, and just enjoying the holiday. And let's not forget that Christmas is this Sunday! I'm going to wake up early, open presents, see lots of loved ones and eat! Now, the moment you've all been waiting for-the ridiculously easy, boyfriend-approved (which, trust me-for apple pie-that's big) mini apple pies! I made these for Michael for Thanksgiving. I was making pumpkin pies, which he does not like, and I didn't want him to not have a dessert, too! The problem with making an entire apple pie is, if it's just for him, he has a hard time finishing it before it "goes bad". 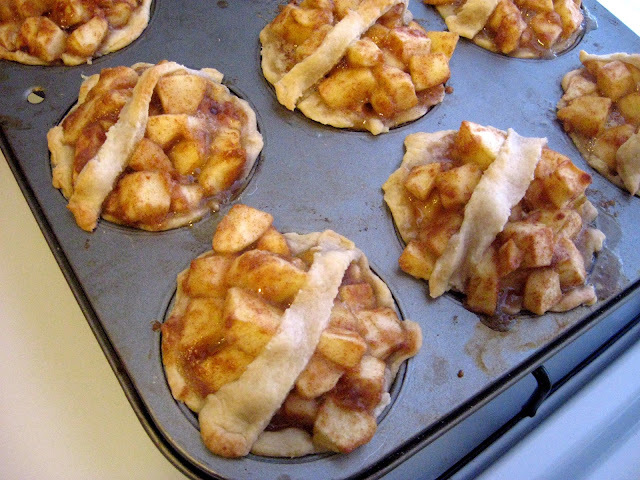 So, I had the brilliant idea that mini apple pies might be just the ticket! 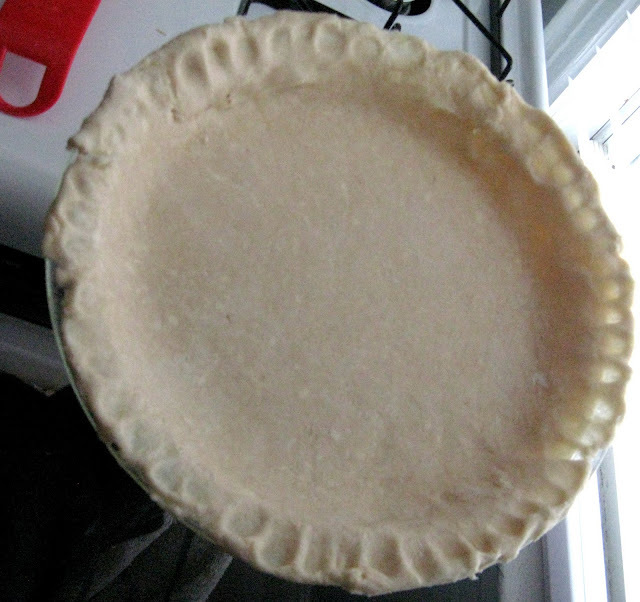 I used to be afraid of homemade pie crust. My mom always ranted about what a hassle it was, and how store bought is just as good without ALL that hard work. My boyfriend's mom (my Mama Maria) is, like, the queen of pie. Her pie crust is spoken of in reverent tones. So, you know, intimidating. For my birthday, Mama Maria got me (in addition to a lovely apron) the new edition of The Betty Crocker Cookbook. 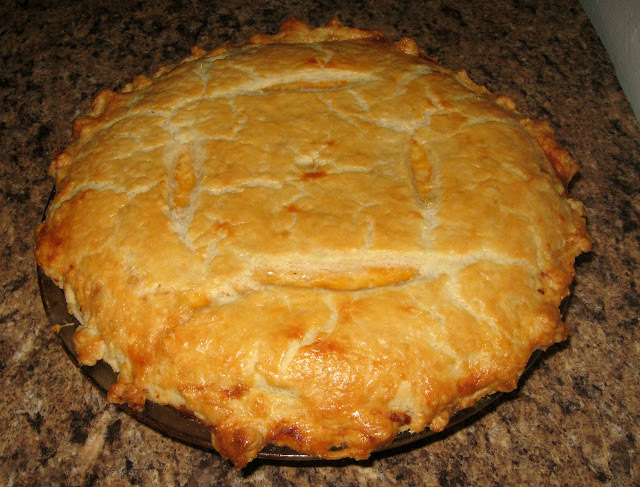 Until that point I hadn't even bothered to look for a pie crust recipe, because I knew only hers would do. However, she informed me her recipe was in that book-yay! Fast forward a month (because I got my present early) to Thanksgiving. I was making 3 pumpkin pies for myself (and, I thought, Brandon) and some mini apple pies for Michael (recipe coming soon!). Well, first of all--when I found the recipe for the mini apple pies, it had the crust recipe for it too, and it had a way for me to make it with a food processor, and it was all butter (no shortening-thank God! I hate shortening. I don't have any and I don't want to get any.) So I was pretty excited about that, actually. But, for the pumpkin pies, I had decided to do what my mom did and just buy Pillsbury pre-made crusts. Baking day came. Everything was ready. I had just mixed up the pumpkin filling. Then I took out the crusts and....realized they were the wrong kind. My mom's instructions hadn't been quite specific enough. So, I was stuck with these two pre-made pie crusts that were in their own little tins (thusly needing no pie plate) and were FAR too small for the amount of filling. I knew I'd need at least one more pie. So-I did what I had to do. I looked in the Betty Crocker Cookbook-but, unfortunately, there was no pie crust recipe that didn't have at least some shortening. I googled, in search for an all-butter pie crust recipe I could use. And I found one. And I used the food processor method I had read about for the mini apple pies to make it super easy! In the end-my oops was a happy HAPPY accident! With that extra pie crust, the filling filled all three pies up PERFECTLY. 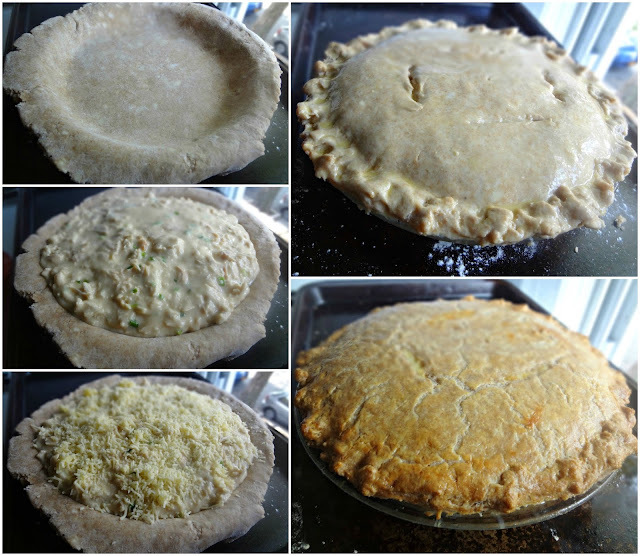 And after baking it was obvious which pie was the prettiest (and after tasting it was obvious which pie was the tastiest). But there was one more hurdle. Michael's the one who likes fruit pies. He's the one who, more often than not, would be wanting the pies that had this sort of crust. Would it compare to his mom's? Answer=Yes! He proclaimed the crust was just as good! Yay! I don't have to use shortening! And neither do you--use this recipe. Because, seriously, with the food processor method, I don't know what my mom was talking about. This is in no way difficult, and it is definitely worth it! I could have chocolate instead. The boy, however, he loves him some ice cream. It's a part of that whole "refreshing" obsession he seems to have. Anyway, I'm becoming a big fan of having as much of stuff I make be as homemade as possible. I had a recipe for a mixed berry milkshake I had been planning to make for Michael (like the nice girlfriend I am). And I decided that was the perfect time to attempt this ice cream. I only needed vanilla ice cream for the milkshake (as opposed to the various different flavors I'd read about)-so I decided adding some vanilla extract to the base would create what I was looking for. It's awesome. Doesn't taste different than any other ice cream. I'm super excited to attempt the different, fun kinds! I still like mine the old fashioned way. But! This is pretty tasty-and since The Holiday Recipe Exchange is featuring vanilla, and that is this recipe's secret ingredient (and one that, in my opinion, was actually a little overpowering in this), I thought now was the time to share my findings with you and let you decide for yourself how you like your cinnamon toast. Cinnamon Toast "The Right Way"
We're going to go see NYC all Christmas-y. 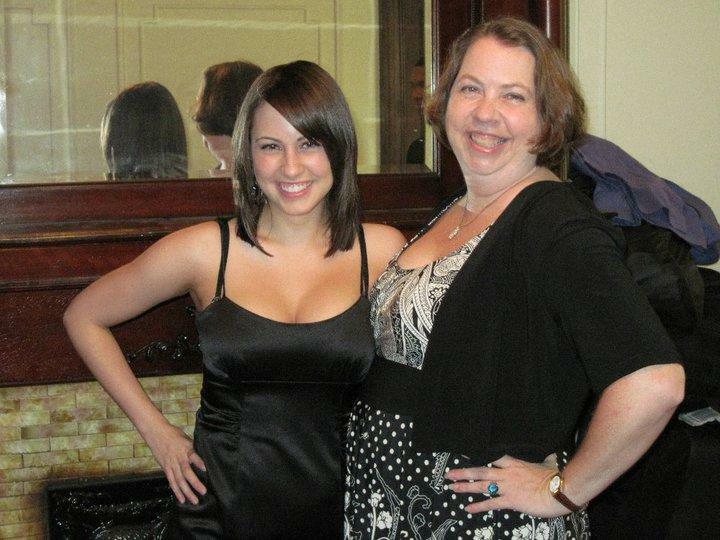 I love this pic of us.